They have gained about 20% since Google on Tuesday said it would use the chipmaker’s graphics processing units for its new streaming-video-game service. 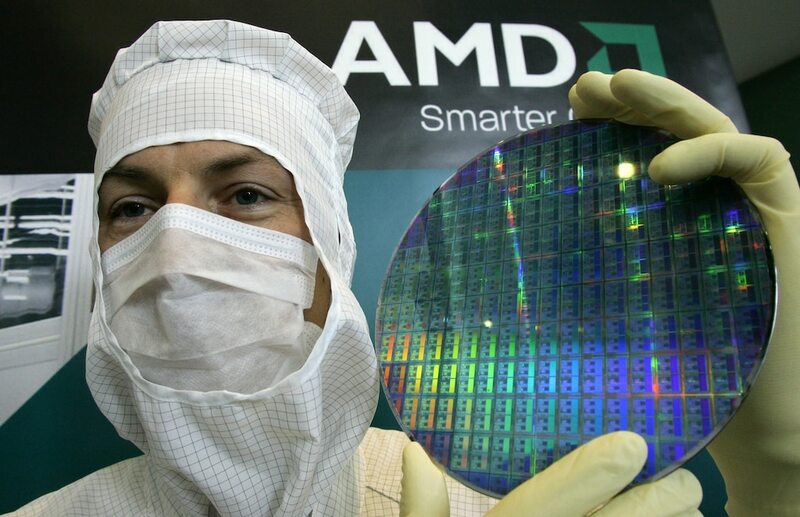 AMD shares on Thursday soared over 8% to their best level in more than five months as traders continued to pile in following Tuesday’s announcement that Google would be using the chipmaker’s graphics processing units for its streaming-video-game service Stadia. Shares have gained nearly 20% since Monday’s close, but Ihor Dusaniwsky, managing director of predictive analytics at the financial technology and analytics firm S3 Partners, says there’s still no signs of short-sellers running for cover. Meanwhile Jefferies analyst Mark Lapacis said the presence of Lisa Su at Google’s developer’s conference was a hint that a stronger bond between the two companies could be on the horizon. 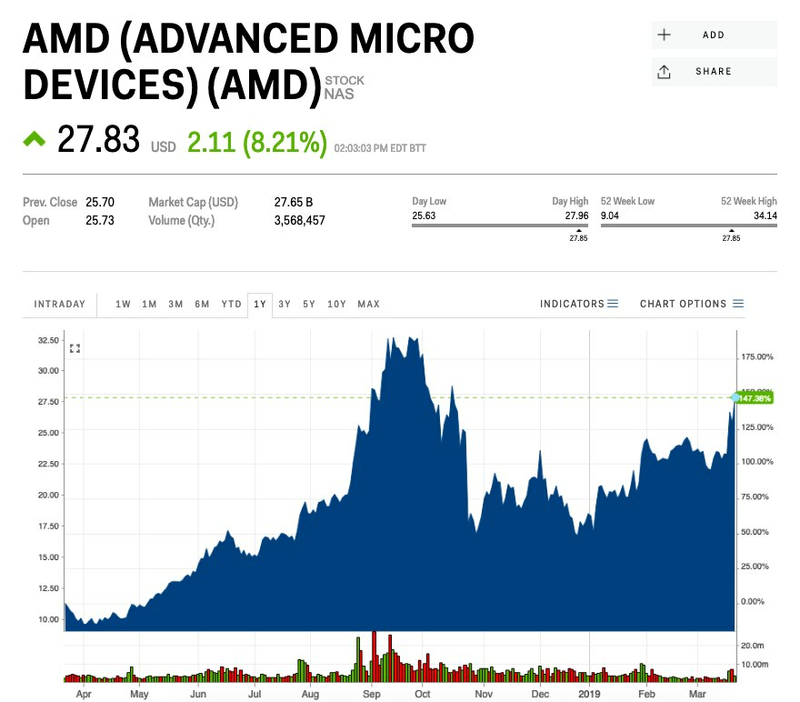 AMD shares have gained more than 50% this year, including Thursday’s advance.